On the day of Conrad's wedding to princess Isabella, a horrible accident befalls the bridegroom. Fearing that this is the realization of a terrible ancient prophecy, Conrad's father Manfred believes that the fate foretold by the prophecy can only be averted if he marries Isabella himself. 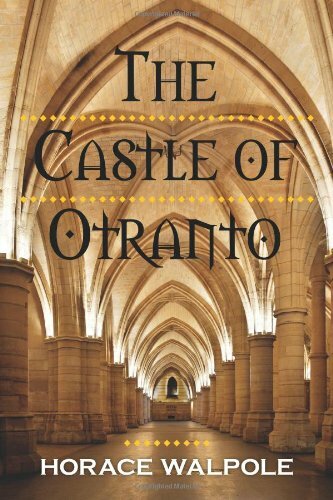 "The Castle of Otranto" - a 1764 novel by Horace Walpole - is credited with creating the genre of the gothic novel. Horace Walpole was born in London on September 24, 1717 and educated at Eton College and Kings College, Cambridge. Upon his return from college, Walpole was elected to Parliament and served until 1768. Walpole opened a private press that published his own works and that of his friends. He is well known for his Gothic romance novel, The Castle of Otranto. Horace Walpole died in London on March 2, 1797.